As we all know, on its way is one bright holiday filled with entertainment, happiness and more - Easter! Easter is a holiday in which the whole family gets together to spend time, have fun, and hunt for presents from the Easter Bunny. This year Easter occurs on Sunday, April 21st. But what is Everneth doing for Easter? All we know is that a few members of the Ministry of the Interior were spotted heading to an unknown island far out in the ocean. Our paparazzi followed them and managed to figure out its coordinates: x= -800, z=1300. Also, we captured some pictures of them carrying heavy moai statues, bunnies, and even more in their boats to the island! Suspicious don't you think? To add to the Easter antics, Interior has prepared an exciting and death-defying survival course! The course will incorporate the adventurous Indiana Jones style thanks to our amazing minister/professional redstoner FearlessPie. It will be filled with dangerous trails, parkour, and more. This will make it a bit harder to get the Golden Egg, the marvelous reward found at the end. The course will be open from 1 pm EST on April 19th to 1 pm EST on April 22nd. Have fun! As part of Interior's Everneth Easter island, we are hosting an Easter-themed Build Competition! I'm sure it needs no introduction by this point so without further adieu, the themes for this one are Bunny & Easter Eggs! Everyone is encouraged to join and "sign up"! Just place a sign with your name on it on one of the pre-made plots on Easter Island located at -814/1403 [X/Z]. It probably sounds easy to you, but no, this will be a great challenge! The judges of this competition will be chosen from members of the Interior, and we will be utilizing an edited version of past judging rubrics. The Build Comp. will be open from 1 pm EST on April 19th to 1 pm EST on April 22nd. Have fun! TL;DR Biggest average score from judging wins. We will only choose the most creative, good looking, silliest, and aaaamazing ones. So do your best! You will be given a 10x10 area to work with. The categories and point values that your build will be scored on are shown below. Another three months are past us, and the Tenth Parliament of Everneth has come to an end! With the elections having just ended, the public has decided that Beolyx and Redstonehax are to replace Sybillian and Kordon_Luis as our temporary Barons. The ceremony is to be held on Saturday, April 6th at 1 PM EST at our spawn stage. 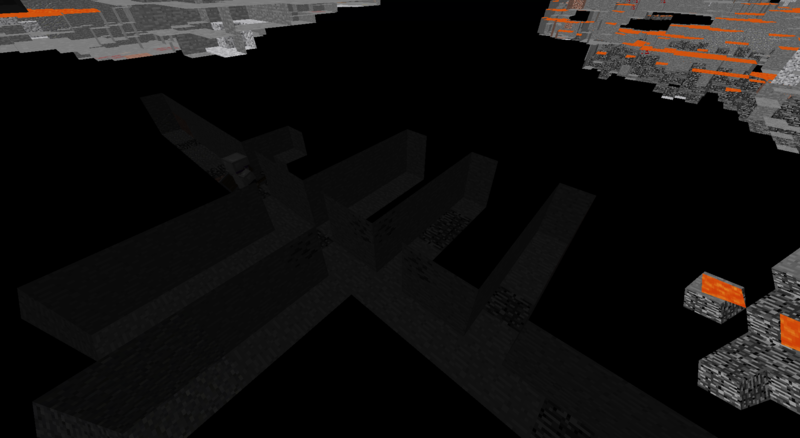 The spawn stage is in the large cave located at (40, 90). During our ceremony, Kordon_Luis will pass his blade to Beolyx, while Sybillian shall pass his to Redstonehax. As usual, you should anticipate some surprises near the end of the ceremony! What is the Order of Everneth? In order to become a member of the Order, one must go above and beyond expectations and truly dedicate themselves to this community. This honor will be difficult to obtain and must be so to maintain its integrity. The intention is that this honor is difficult to get. Much like real life honors, going above and beyond is absolutely a minimum requirement before the Order is even considered to be given to someone. Most of those who have been inducted to the Order are past and present staff. It's no secret that its skewed this way, but Staff have been given an extra opportunity to serve this community and those who have been exceptional and representing what Everneth is meant to be have been awarded appropriately. If you are aiming for the Order, we encourage you to aim high and don't give up. Keep in mind that you need to go beyond the lower precedence awards (King's Cross, Virtuous Medal, et al) and truly make your mark among the cornerstone of this community. This doesn't mean budding up with staff, and simply working silently away at your base. Get involved, engage with people, participate, and contribute in the best way you can. 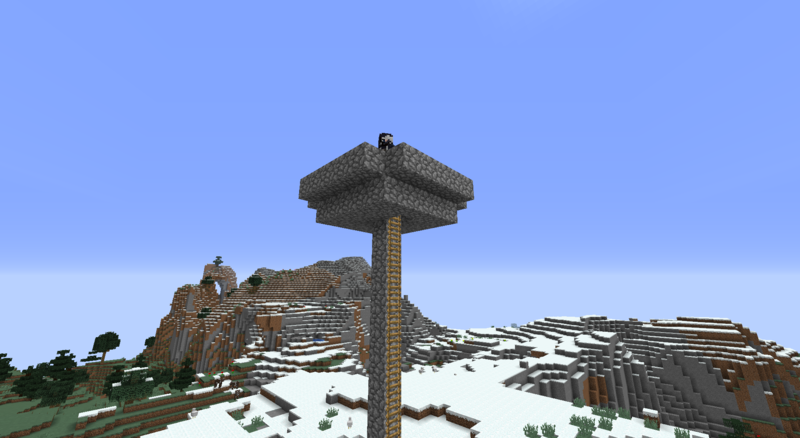 As a final note, make sure to wish Beolyx and Redstonehax good luck for their next three months as our new Barons! You may have noticed that we only have 4 finalists for this election. This is because incumbent Sybillian has shared with the high council that he does not wish to run in this term's election. Our anonymous polls will be open until 11:59 PM EST on March 31st, at which point votes will no longer be able to be cast. Once the polls close, all the votes will be tallied together from both polls, and the two top-voted candidates will win the two open seats. Until then, however, you are free to cast your votes as you please. Remember, those who vote for the same candidate on both polls will forfeit their votes. The winners' term as Council members will begin on April 1st, 2019 and last until June 30th, 2019. As the purpose of these elections are to give Evernethian Citizens a voice in the management of the server, we strongly encourage each and every one of you to cast your votes and let your voice be heard. Thank you for voting and good luck to all of our candidates!